Is there a picture in your Powerpoint presentation that doesn’t look exactly the way you want it to? One way to fix this is to flip the picture in your Powerpoint slide. You have the option to flip the picture horizontally of flip it vertically. Our tutorial below will show you how to use these picture-editing tools if you find that your image is currently displayed differently than you would like it. 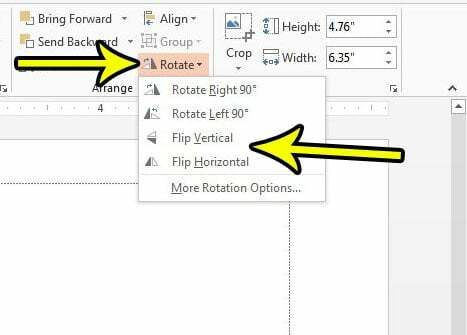 You can experiment with these picture rotation options to achieve the desired look for your image in Powerpoint. The steps in this article were performed in Microsoft Powerpoint 2013. This guide assumes that you have already inserted the picture into one of your slides, and that you want to flip the picture. 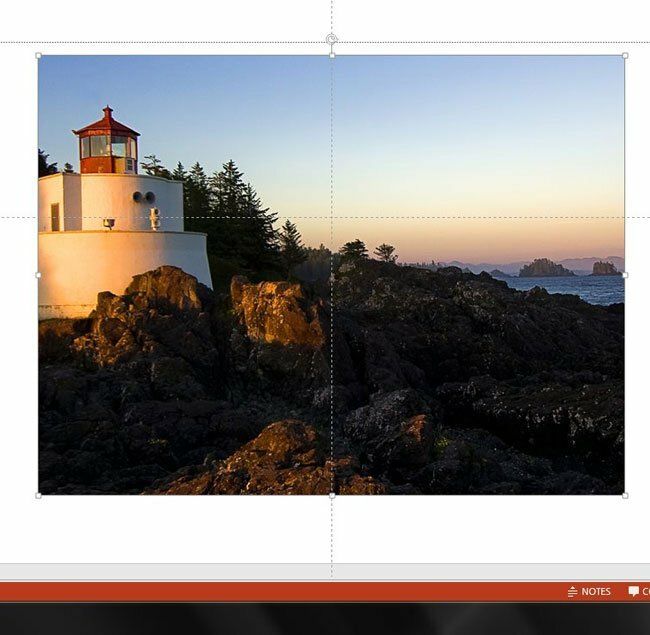 Step 2: Select the slide at the side of the window that contains the picture you want to flip. Step 3: Click on the picture in the slideshow to select it. 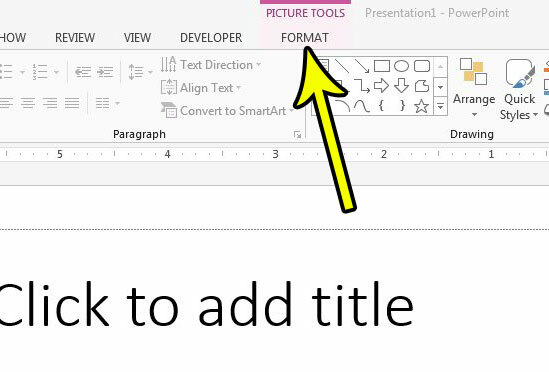 Step 4: Click the Format tab under Picture Tools at the top of the Powerpoint window. Step 5: Click the Rotate button in the Arrange section of the ribbon, then choose the Flip Horizontal or Flip Vertical option, based on which one you wish to use. Note that you can also choose to rotate the image, or click the Rotation Options button for some additional ways to manipulate the picture. Do you want to add a video to one of your slides, either from a video on your computer or from a Youtube video? 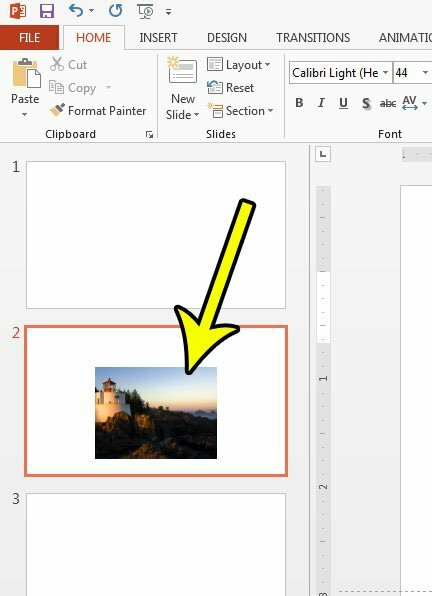 Find out how to embed a video in Powerpoint 2013 so that you can play that video when you give your presentation.